Had access to KVM before, but KVM is not allowing us to enter. Could it be because hood and windshield have been removed because of damage? The hood removed is likely the issue as the vehicle wants to see the hood shut before access. Purchased 2015 Range Rover Sport HSE with key; however, key was not programmed. Tried to program key and initially was gaining access to KVM however KVM is now declining entry. Could it be because KVM is bad or because hood and windshield were removed. No wires are broken on vehicle. Need help getting car started. What would you recommend? Are you located near NY? Doing a little more research their has been an update to the vehicles 2015 and newer that have a new software update, which makes their Keyless vehicle modules (KVM) READ ONLY. Which means If the owner lost all his keys or requires additional key, the KVM should be replaced. Looks like you need to replace the KVM. Will the new KVM come already programmed?Where are you located? 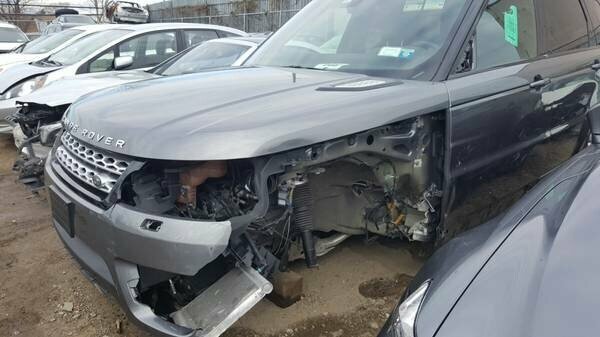 Would you be able to come take a look at my vehicle or can you recommend a mechanic in the NY area? Yes it has to. It is read only from now on. It comes programmed to the VIN number. I've contacted several local mobile locksmiths and no one has been able to properly diagnose the issue. Where in CT are you located? eastern central. Looks to me like you need to replace the kvm. It is read only in your model year so you can not write keys to it. Would it be possible for you to come out to NY to look at my vehicle? I'm not having any luck with any of the mobile locksmiths or technicians that I've contacted. No. I am not going to do that. Why dont you call a dealer and verify the information that I am telling you about the KVM? Can I bring the car to you? Can I make arrangements to bring the car to you? No. I am not supposed to do that while working at Just Answer. I'll open the question up and perhaps a different expert knows a trick to get this thing running.